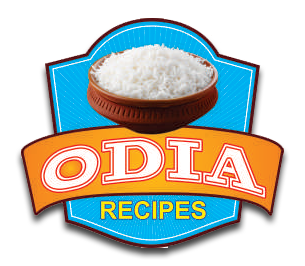 Potoli Pitha is a delicious pancake, prepared in Odia homes especially on the occasion of festivals. This pitha is regularly offered in the Puja in the famous Baladev Jew temple of Kendrapara. This typical delicacy represents the uniqueness of traditional cuisine of Odisha. Take three-and-a-half cup of refined wheat flour in a bowl and add water and salt to it. Make a thick batter. While preparing the batter ensure that no lump is formed. Take grated coconut in another bowl. Add paneer and sugar to it. Mix them thoroughly. Heat a pan and fry the coconut and paneer mixture. Then add cardamon powder. (This mixture is later to serve as the stuffing). Now take another pan and heat it. Take a tablespoon of the refined flour batter which was prepared earlier and spread the same on the pan with the back of the spoon, spiraling from the middle to the circular edge of the pan. Ensure that the spread is thick. Then put the coconut and paneer mixture in the middle of that batter spread . Fold the spread from four sides to give it the shape of a four-folded rectangle. Make as many such four-folded pithas as possible. Now take ½ cup refined flour, wheat flour, molasses and water in a bowl and make a thin paste of the same. Then dip the rectangular pithas into it . Subsequently deep-fry the same in ghee until both sides of the pitha become red-brown. Now your patoli pitha is ready.